This entry was posted in Terrible Cartoons, trades, Uncategorized, Verlander. Bookmark the permalink. JV was a great Tiger, and I will always be cheering for him as he continues his career and makes a drive for the Hall of Fame(except when he faces the Tigers, of course). Your drawings perfectly capture our feelings. 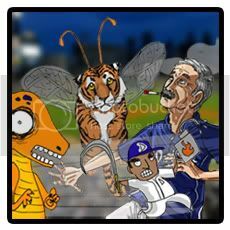 Thank you, Shira, for your eloquent words, and heart string plucking graphics and for being a Tigers fan. This does truly feel like the end of an era (not earned run average), I join you in wishing Justin a WS ring in Houston and many more years of success. Unlike some jerky Celtics fans who burn traded players jerseys, after being traded, I am sure all Tigers fans see the trade as best for every one..
We all miss your work, Sam. Guess it’s kinda workin’ out for the little one.